Looking for deals in Marseille? Hôtel 96 is set in a 19th-century house with a garden and an outdoor swimming pool, located on the outskirts of Marseille and a 5-minute drive from the beach. Staff and the overall property. Beautiful peaceful setting. Room was perfectly clean. They helped us with reservations and other tourist info. We were sad to leave! Set in Marseille, just a 5-minute walk from Marseille Saint Charles Train Station, Toyoko INN Marseille Saint Charles features a garden and free WiFi. The hotel is easily accessible from A7 highway. Staff immediately moved me to another room as original room had cigarettes smell. Awesome! Everything was new in the hotel. The bed was very comfortable. Staff were very nice throughout my stay. Right next to train station. Delicious free breakfast. Rooms designed to anticipate the needs of guests down to shoe horn. Will definitely stay here again!! Just 492 feet from Marseille Saint Charles Train Station in the center of Marseille, Massilia hôtel offers free WiFi. The Old Port is 2953 feet away. Room is nice. There is an electric pot here. Located in Marseille overlooking the Vieux Port, Radisson Blu Hotel Marseille Vieux Port is a 4-star hotel. Great staff and concierge Loved our room and the location is very good, close to all the action. A 7-minute walk from the beach, Golden Tulip Villa Massalia is 2.2 mi from Velodrome Stadium and 3.7 mi from Les Goudes. This was a full American hotel room. Everything in France is small, but not this hotel room. Boasting free access to a spa with a plunge pool, sauna and hammam, Sofitel Marseille Vieux-Port also features 3 terraces overlooking Marseille's Old Port. Great location next to the Port. Making it central for exploring in both directions. Just 1.2 mi from the Old Port, Hôtel ibis Marseille Euroméditerranée offers modern accommodations with a 24-hour reception, free newspapers and free WiFi. It also has a restaurant, a bar and a... Breakfast was fantastic. Rooms were spacious and clean. Bed was comfy. Really enjoyed our stay here! This hotel offers a unique, modern design by Philippe Starck and all rooms are equipped with free Wi-Fi and a 27” iMac. The accommodations and the friendly staff. Close to walking the main areas. Boasting a spacious terrace, an on-site gift shop and a petanque court, Hôtel Maison Montgrand - Vieux Port is in the center of Marseille, just a 5-minute walk from the Old Port and 2.5 mi from... The staff was very accommodating and friendly. 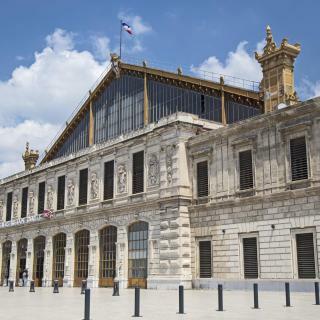 Located in 0.6 mi from the Orange Velodrome in South Marseille, the Kyriad Marseille Palais Des Congrès – Vélodrome has air-conditioned rooms with free Wi-Fi, Canal+ and satellite TV. Rooms were recently remodeled, it seems, and style was elegant. Newhotel Bompard La Corniche is located in a residential area in the heart of Marseille, a 15-minute walk from the beaches. It has an outdoor swimming pool, a sunbathing terrace and a solarium. Staff was really great and helpfull. Room was big and breakfast was good. Set in the Prado Area next to the park in Marseille's Chanot - Stade Velodrome district, AC Hotel Marseille Prado Velodrome features a 24-hour front desk, a restaurant and a bar. Very clean, modern hotel. Breakfast choices were good. Grand Hotel Beauvau Marseille Vieux Port - MGallery by Sofitel is an elegant 4-star hotel in the center of Marseille. Very nice location. Excellent breakfast. Bed and pillows nice and comfy. Directly on the sea shore, nhow Marseille at Palm Beach is in Prado Bay, 2.5 mi from Marseille center. Brunch was very good, huge pool, fall asleep to sound of the waves. Boasting a 3-star Michelin restaurant with sea views, Le Petit Nice – Passedat is a luxury hotel located 1.9 mi from the center of Marseille. It features a bar, terrace and seawater outdoor pool. Incredible view and amazing staff. Hôtel Hermès is just 115 feet from the Vieux Port in central Marseilles. It offers a roof-top terrace with panoramic views of the harbor and the city, and free Wi-Fi. Great location. Take Metro from train station. 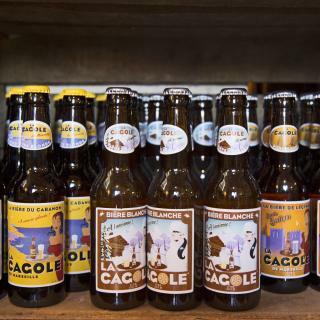 Le Ryad is located in the heart of Marseille, just 164 feet from La Canebiere and 0.6 mi from the Old Port. It offers Moroccan-style rooms with free Wi-Fi internet access. It was in a great centrally located neighborhood, lots of cute shops and cafes around. Which hotels in Marseille offer an especially good breakfast? 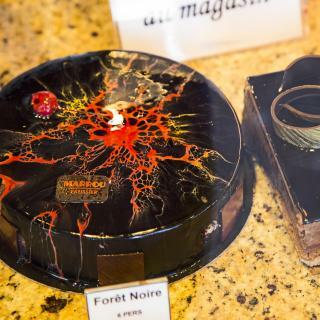 For hotels in Marseille that serve highly-rated breakfasts, try NH Collection Marseille, Hôtel 96, and Grand Hotel Beauvau Marseille Vieux Port - MGallery by Sofitel. Which hotels are the best ones to stay at in Marseille? NH Collection Marseille, InterContinental Marseille - Hotel Dieu, and Hôtel 96 are some of the popular hotels in Marseille. What are the best hotels in Marseille near Orange Velodrome Stadium? Some of the best hotels in Marseille near Orange Velodrome Stadium include AC Hotel by Marriott Marseille Prado Velodrome, B&B Hôtel Marseille Prado Vélodrome and Les Chambres de Jeannette. Which hotels in Marseille have nice views? 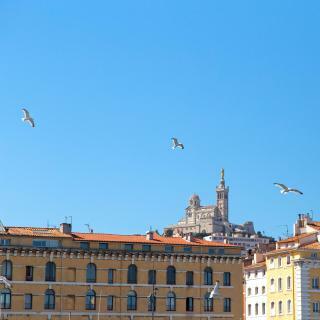 La Residence Du Vieux Port, Hôtel 96, and nhow Marseille got great room view-related reviews from travelers in Marseille. Which hotels in Marseille are good for families? Many families visiting Marseille loved staying at Hôtel 96, Hotel C2, and InterContinental Marseille - Hotel Dieu. How much is a hotel in Marseille for tonight? On average, it costs $84 per night to book a 3-star hotel in Marseille for tonight. You'll pay around $126 if you choose to stay in a 4-star hotel tonight, while a 5-star hotel in Marseille will cost around $324, on average (based on Booking.com prices). Which hotels in Marseille are good for couples? These hotels in Marseille are highly rated by couples: Hôtel 96, Hotel C2, and NH Collection Marseille. 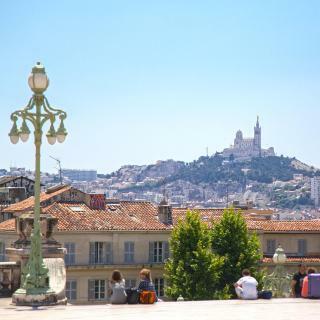 Which neighborhood is the best one to stay at in Marseille? Vieux Port - La Canebière, Le Panier, and Castellane et Préfecture are popular with other travelers visiting Marseille. What are the best hotels in Marseille near Provence Airport? Travelers who stayed in Marseille near Provence Airport (MRS) have said good things about Best Western Marseille Aeroport, ibis Marseille Provence Aéroport, and ibis budget Marseille Aeroport Provence. How much does it cost to stay in a hotel in Marseille? On average, 3-star hotels in Marseille cost $81 per night, and 4-star hotels in Marseille are $140 per night. If you're looking for something really special, a 5-star hotel in Marseille can be found for $274 per night, on average (based on Booking.com prices). How much is a hotel in Marseille for this weekend? The average price per night for a 3-star hotel in Marseille this weekend is $162 or, for a 4-star hotel, $250. Looking for something even fancier? 5-star hotels in Marseille for this weekend cost around $441 per night, on average (based on Booking.com prices). Founded by the Phocaeans in 600 B.C., the long history of Marseille has produced an interesting and dynamic port-side city bursting with cultural diversity. Watch the fishermen sell their catch by auction at Vieux Harbor or cruise along the Corniche roads with views of the Calanques, dramatic rocky inlets to the sea. The le Cours Julien and la Plaine areas provide a trendy hangout and every Thursday and Saturday morning, the Plaine market offers its various wares. This is the area to buy a novel from a hip bookshop or watch your kids on one of the playgrounds. There are also plentiful cafes to sip a cappuccino and watch the world go by. If a culture packed vacation is on the agenda, the Musée d'Archéologie Méditerranéenne, Notre Dame de la Garde and Palais Longchamp won’t disappoint. The unique Unité d'Habitation, designed by famous architect Le Corbusier, contains everything from a shopping street to housing and has spectacular views of the terracotta landscape that makes Marseille so distinctive. 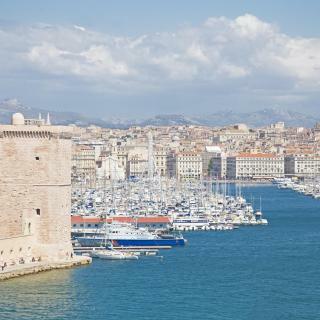 Marseille is a short trip from Marseille Provence Airport, so your holiday can start promptly. With over 100 hotels and apartments available, Booking.com is the perfect place to find great accommodation and start your journey in the largest city on the Côte d'Azur. It is a pretty port with lots to explore including great restaurants and if you like to understand a place, it has well marked points of historical interest. Getting around on foot or by public transport is easy. We caught the little ferry that crosses the harbour for .50€ and ate gourmet icecreams looking out across the port from Hotel de Ville. We shopped for freshly made Marseille soaps there and then walked around to the other side and enjoyed a lovely meal in a square one block back from the port. Our short stop was too short. Next time we will explore local attractions and see more countryside too. We enjoyed seeing Marseilles by walking from our accommodation and found a cafe/restaurant nearby with good food, and friendly service. We thought Marseilles to be a bit dirty, with rubbish and cigarettes lying around. However, overall we enjoyed our stay in Marseilles. Perfect city for a long weekend. Perfect city for a long weekend. The new museum is wonderful and Notre Dame de la Garde too. The old part of town is also very cute. Take a hotel in the Vieux Port, the location is perfect. We took a boat trip to Estanque and the trip was nice but the village is really nothing. The sea was too rough to visit the Calanques. Excellent food. We had lunch twice at the restaurant of La CRIEE theater and we enjoyed it very much. Although we had a very heavy traffic to get to the hotel, it's a nice city. But some of the French people are really rude and don't want to speak in English. But this is the common language we can use for communication. They have to understand that French is not the top 3 languages in the world. Really don't understand the logic. Anyway, the city for me is interesting to see, but not really the people there. Gorgeous at night after the rain! It lights up. and the morning sun on the Port is stunning. Can't tell you the name, we darted into a little care out of the rain just a few blocks away from our hotel. The waiter was fantastic and the food was great. The wine was good as well and recommended by our waiter. Also, earlier we had a caffee and macaroons right around the corner from our hotel. 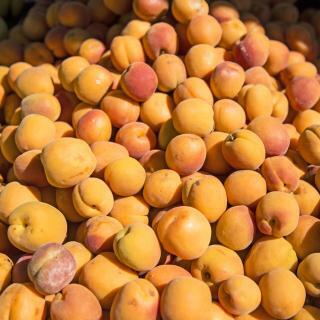 Definitely try all the flavors, mmm good. First of all, the location is great. Next to the adorable views of the Vieux Port. The apartment is very well arranged, recently renovated and with great amenities. Everything was shiny clean and prepared for us. Finally, the hosts were very explanatory and made our arrival and departure very smooth. On departure we asked the hosts if we could leave the luggage a bit longer in the apartment as our flight was late in the afternoon. They were very friendly and agreed to leave the luggage inside, which gave us extra time to explore Marseille! It’s the best apart-hotel I ever had in all Europe! Perfect location close to the beach and calanques! 20 minutes by bus and metro to city center and vieux port! Very beautiful and safe area! My apartment was perfectly clean with well-equipped kitchen. The bed was very comfortable. We also had a nice dining area with a comfortable sofa and two tables. Fresh towels. All furniture is new. Very friendly and helpful owner! I will return again and stay only at Calipso apartment! The hotel was situated in a great spot just 10 minute walk from the very beautiful vieux port where you will find lots of restaurants and shops. Could not argue on the price point either - much cheaper than anything else in the area. The room was clean and the staff in reception were friendly and very helpful. The breakfast was delicious, with staff always checking back on you . A 10 minute walk to Vieux Port, and a 5 minute walk to the mall which was great! The hotel is well maintained, exceptionally clean and staff always attentive. Lovely, spacious accommodation with views of Marseille. Close to the vieux port. Reception was really lovely and friendly even though we showed up late at midnight. Late checkout. A really comfy bed with a good nights sleep! Perfect hotel prior to our cruise departing from Marseille. Friendly staff, comfortable room and bed, walking distance from shopping. It was in a great location 5 min from Vieux Porte. Lots of restaurants and activities. It was clean and the staff was very nice. 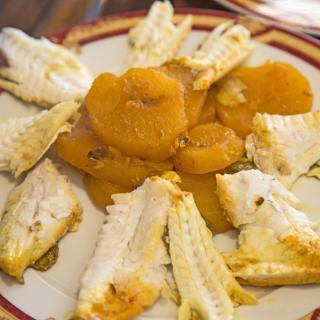 Situated closer to Marseille center (2 subway stops from Castelane to Vieux Port). The staff was friendly and helpful. I love everything about the apartment . It's the best place I have ever rented in France. I could go back anytime. Short walk to train station and Vieux Port. Helpful staff, and laundry room! Excellent location, with a south-facing balcony, overlooking the Vieux Port. The hotel is close to vieux port. The room was generously sized and appointed with Le Corbusier designed furniture. A fabulous view of the Mediterranean with sea breezes! Well worth the trip for architects. Access to the roof with building residents after hours for photography.